This is not a sponsored post and I don't sell Senegence or Lipsense. This is 100% my personal experience with Senegence products. (No, it's not an affiliate link. She's just awesome). About a year and a half ago, my friend Ashley got me hooked on the wonder that is Lipsense, lip colours that stay put all day (see all the details here). And now I can wear bright colours with an overbite! Whoo hoo! 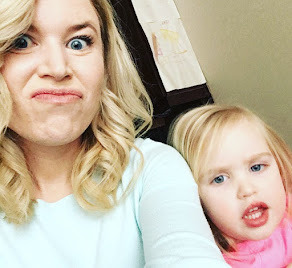 I KNOW I'm not alone in my infatuation because my post about Lipsense has been viewed over 50,000 times. 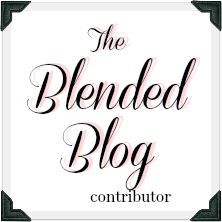 It's kind of a big deal (Lipsense, not my blog). 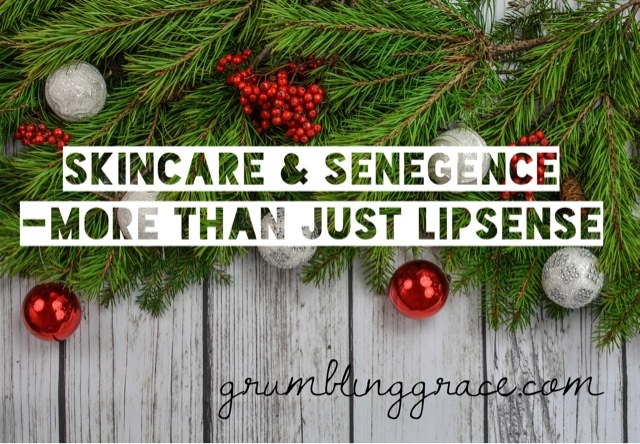 There's lots of info out there in cyberspace about the incredible make-up Senegence carries, from the shadowsense eye colours to the mascara to the tinted-moisturizers and foundations to the concealers and blush sense, but I don't see a lot on the skin care line itself. However, when Ashley offered to let me test out the skin care line of Senegence products, I admit that I wasn't super enthusiastic. I have combination skin. That's the nice way of saying that if my skin and I were in a Facebook relationship, it would be "complicated". Both my parents came straight from Northern Ireland so I have freckles, wrinkles, I turn red, I have dry skin, my skin reacts to EVERYTHING in the form of rashes and (thanks to two kids in the last four years) hello hormonal acne. Did I mention I thought sunscreen was for sissies back in my tragic youth? Yeah. Oops. Anyway, I sort of mumbled "Okay, greeeaaaat. Mkay, thaaaaanks." and sighed and took home a sample of the face cleanser, night cream, day cream and eye creme. I called Ashley THREE DAYS LATER to buy them all. I feel like that might have been her devious plan, but since it's working for my crazy skin, carry on, mastermind! I couldn't believe the difference in my skin clarity and evenness, softness and moisture in three days. I don't react in the slightest to these products and I find them soothing when I am having hormonal skin issues (thanks chocolate, dairy and general womanhood). I am completely sold on this line of skincare and wish I'd tried it sooner. Now that I've been consistently using SeneDerm for the last three months, I am raving about it. Here are the 4 Products I highly recommend! 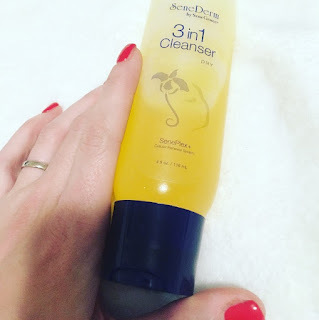 You only need a dime-sized amount of this cleanser and it spreads easily. It takes off my makeup and leaves my skin feeling clean without being at all dried out. I love the apricot scent. It's not overpowering, it just smells great. My ONLY complaint about this cleanser is its jelly-like consistency makes it feel a bit weird if you get it too close to your mouth but probably I'm the only one subconsciously eating it. Oh well. Again, I live in the harsh parched prairies, so I use the formula for dry skin. 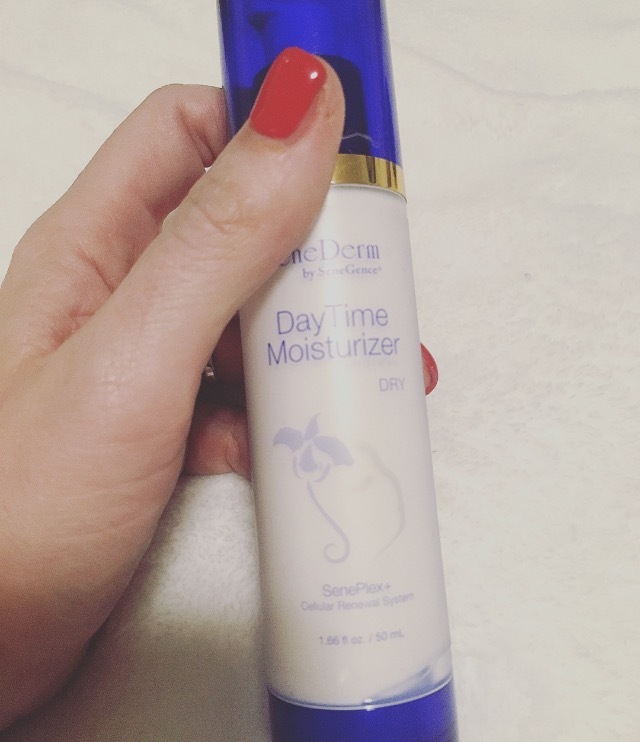 This moisturizer is completely scent-free, light-weight but it works. Whenever I hear "light-weight" I usually tune out because it means my skin is going to be dry in 5 minutes. Somehow this goes on weightlessly but keeps my skin hydrated. Not greasy, just hydrated. YES! I love that it has the non-chemical equivalent of an SPF 15 protection in it because I never forget my lotion (sunscreen on the other hand...) It lasts all day and a small amount goes a long way. I usually use one to two pumps (again a dime-sized amount) which is shocking for me because I'm normally a slatherer of creams. So that sounded nicer and yep, I agree. Not one complaint about this product. 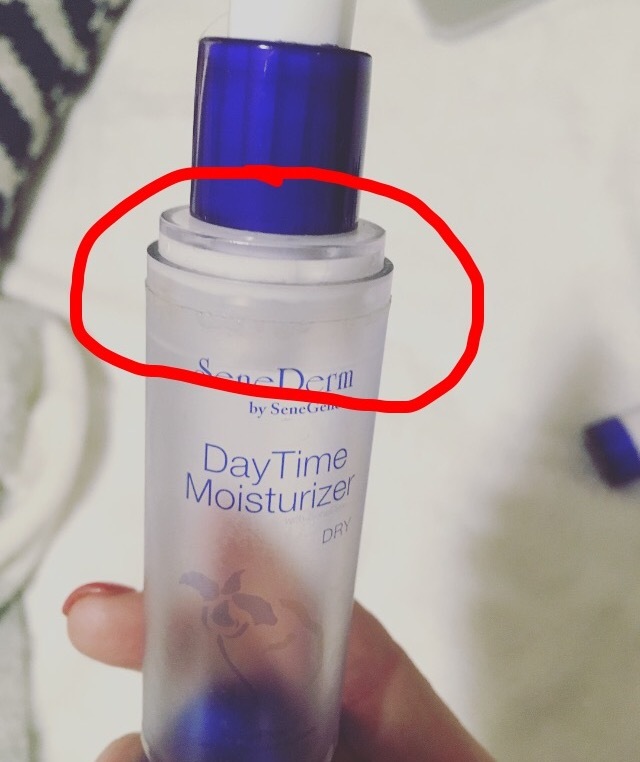 ...so you use every bit of the product with no waste and aren't shaking it at the end for the last drops. Brilliant. This might be my favourite product ever. It has a slight scent of apricots (similar to the cleanser) and the texture of the night cream is thicker but still goes on weightlessly. It completely soothes my skin and in the morning, I look refreshed. I have two kids and sleepless nights so this is basically a miracle. It's full of anti-aging and cellular repairing goodness too and I would eat this stuff but Ashley won't let me. Dream squasher. Let's just say I've been looking for a little help in the eye area. I'm getting crinkly and dry and I need it to slow down. 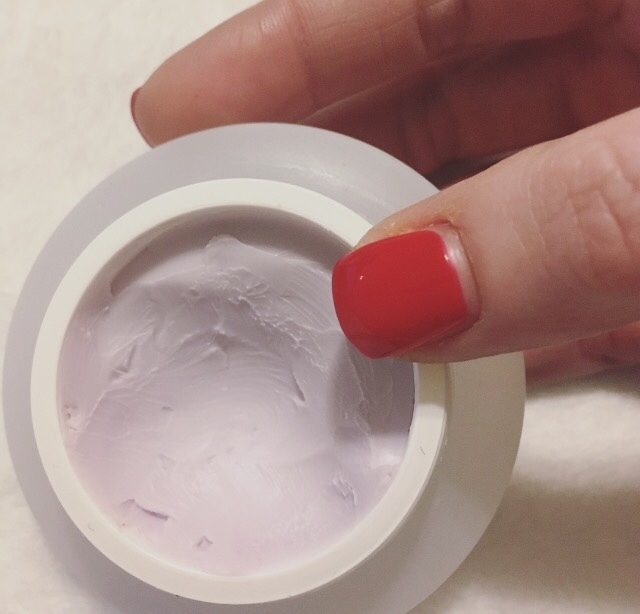 This cream is a thicker consistency, almost like a paste and it just takes a tiny dab to smooth under and around my eyes. It almost feels like a thick lip balm and it's the first eye creme I've ever used consistently because it works, it doesn't bug my sensitive eyes at all and it's even been toning out the dark circles under my eyes. The price point on all of these items is around the $50 mark. If that sounds steep to you, you haven't hit your mid-thirties. I am blown away with the quality of these products for the basic price point of most luxury skin lines. 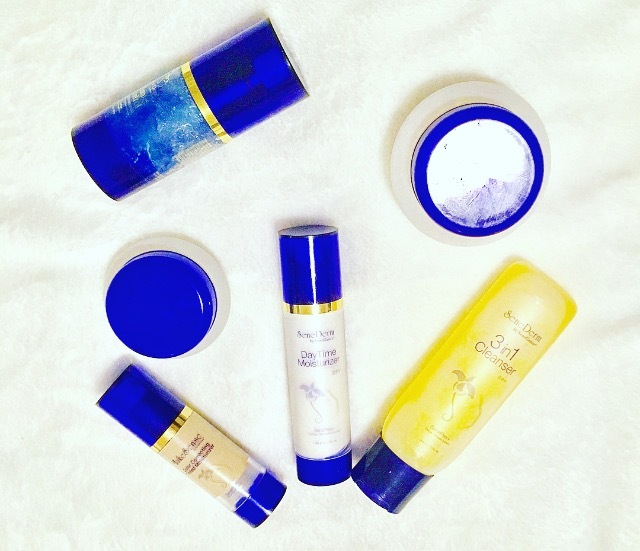 I use very little product each day and the moisturizers last me longer than any previous products I've used. My skin is noticeably softer and more even. It's even diminished some weird freckle/age spotting that was starting to really bug me. My skin feels more even, younger and so much less RED. I never thought I would leave the house with only a tinted mosturizer and not a full-coverage foundation, but here I am! That lip colour is Strawberry Shortcake and yes, you do need it. If you're looking for a pampering kit this Christmas, send your husband or great aunt over Ashley's way. 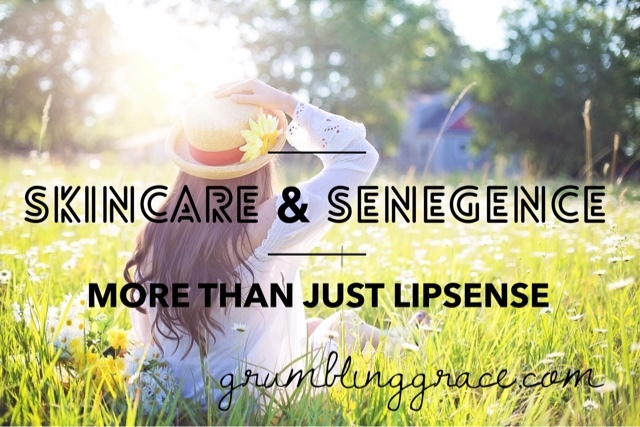 Senegence has a full money-back guarantee on all of their products so if you decide they aren't for you, you're not out any cash at all. 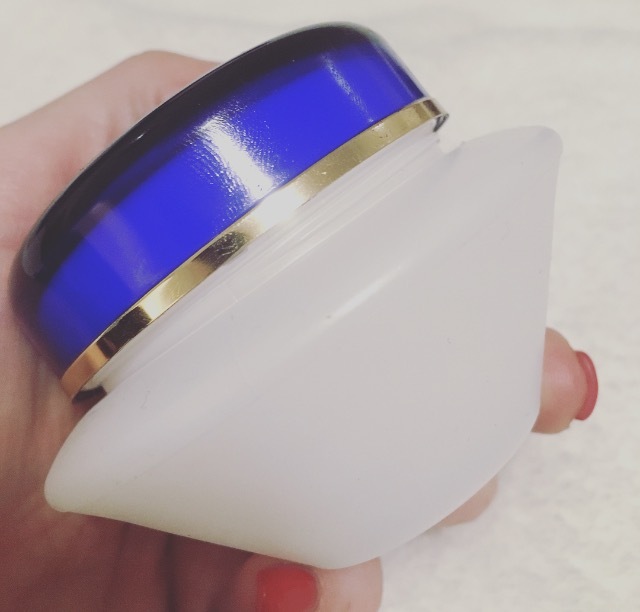 Bonus review: If you're a red-faced girl or you struggle with breakouts, I also encourage you to check out Climate Control. It's an anti-aging moisturizing spray and I recently started spritzing my face with Climate Control before applying my regular moisturizer. It has taken the redness COMPLETELY out of my complexion and seems to calm down any active breakouts. Can I drink this one, Ashley?? I honestly wish I'd started this skin system sooner. If you have any questions, let me know below or check with the expert! Plus, if you follow Ashley on her Facebook page or on Instagram, she'll send you a special 10% off discount code for Black Friday/Cyber Monday! If you already follow her, tag a friend on either of her pages and she'll hook you up! There's plenty of time to get your natural glow on before the holidays and why not share this info with a friend who might love it?